On the newly settled planet of Nexus Psi the Plague has taken hold, twisting the colonists into horrifying monstrosities. The Councilâ€™s Enforcer strike teams must cleanse the planet before the Plague escapes to spread its contagion across the galaxy. This exciting expansion features two new campaigns for Deadzone. One introduces solo-play - 'Artificial Stupidity' for a series of games against the Zombie hordes. 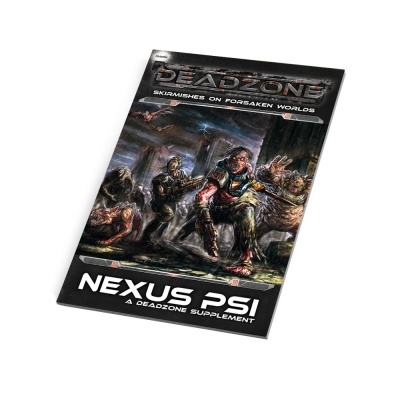 The second campaign focuses around Nexus Psi and the hunt for the origins of the Plague outbreak. In addition, there are also two new Elite Army lists, introducing new leaders for the Plague and Enforcers - the mutated Dr. Gayle Simmonds and Enforcer Recon Pathfinder N32-19. A copy of the Deadzone rules are required to use this product.